The Smithsonian Libraries is thrilled to host over 20 interns this summer, in departments and branches throughout our system. The Field Book Project in particular is working with three students this summer. Please take a moment to help us welcome Nura, Allegra and Conal! The interns are primarily working on cataloging field book collections and expanding biographical descriptions for field book creator records. Nurganym (Nura) Agzamova is a Foreign Fulbright Scholar from Kazakhstan. She is currently a second year graduate student in the Library and Information Science program at Syracuse University. 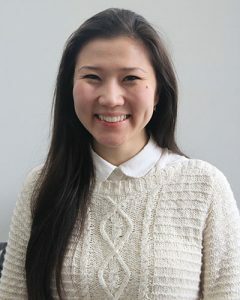 Prior to starting her Fulbright experience, she worked as a librarian at Nazarbayev University in Kazakhstan where she worked as a Subject Librarian for the Foundation Program. She started her library career at National Academic Library of Kazakhstan in Patron Services back in 2008. Nura is a native speaker of Kazakh and Russian, and was involved in translation projects as a freelance interpreter and translator. Nura sees the Field Book as a unique opportunity to learn about cataloging processes for archives. The Field Book Project will help Nura to gain additional skills and experience that she will be bringing back home upon completion of her Fulbright grant. Conal Huetter is originally from Seattle, Washington, and earned his B.A. in History from Western Washington University. 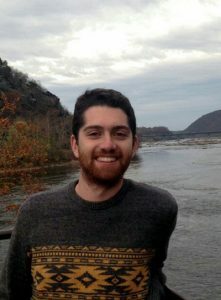 He is a recent graduate from the College of Information Studies at the University of Maryland, receiving am Master of Library Science degree with a specialization in Archives and Digital Curation. He is particularly interested in how archives can be used to tell the stories of groups that are often underrepresented in society. Allegra Tennis is a current student at the School of Library and Information Studies at the University of Wisconsin – Madison. She completed her undergraduate degree in Biology, Life Science, and Chemistry at Iowa Wesleyan College in 2011, and went on to work as a lab technician for several years before beginning graduate school. In Wisconsin, she is employed as a Metadata Specialist for the U.S. Geological Survey’s Publications Warehouse, and as a Reference Student Assistant at Wisconsin’s College Library. 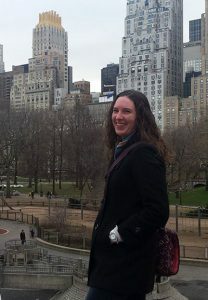 In her free time, Allegra enjoys reading, needlework, tabletop games, and travel.